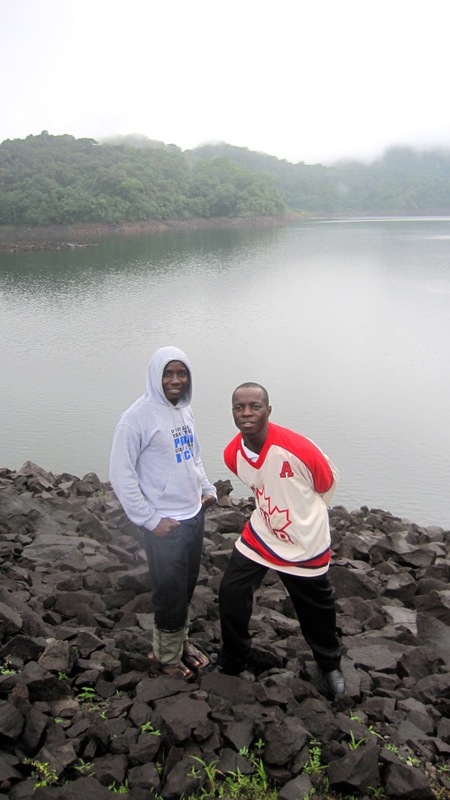 For my birthday I thought it would be fun to go to Guma Valley Dam. It's one of my favorite places in the Freetown area and it had been 3 years since I last visited. So, I convinced Osman, Suzanne and Gibrill to come with me. We had to spend a couple of hours in the morning trying sort out the permit, but once we got it we were ready for our adventure. Mind you, I hadn't really counted on the rain but nevertheless it was fun and it wasn't until the end of our visit that it really started pouring. The Dam is an amazing place. It's great to be in the middle of nature, away from the city noise. I'll definitely go back again!